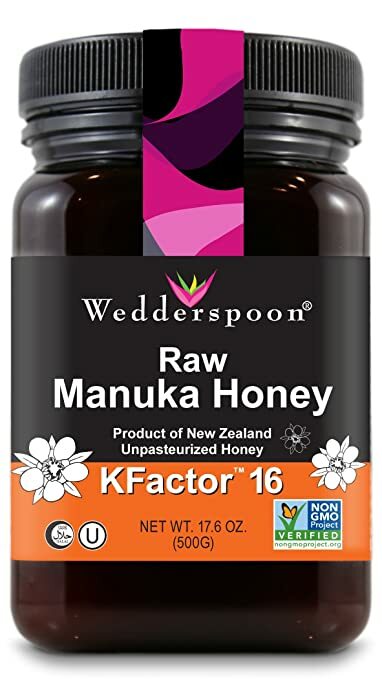 Amazon 现在这种生蜂蜜 Wedderspoon Raw Premium Manuka KFactor 16 Honey 17.6 Oz Container for just $21.67 shipped (regularly $53.99) when you select to Subscribe & Save! This Manuka Honey is raw, never pasteurized, and Non-GMO! It is packed and sealed in New Zealand and can be used for home “remedies”, DIY beauty regimes, energy for active lifestyles or drizzled on your favorite foods. In addition to the bold flavor profile, it has naturally occurring live enzymes and is taken daily by many consumers including nutritionists and athletes.